Objective: This study evaluated the relationship between leg-length discrepancy (LLD) and plantar fasciitis (PF). Methods: A cross-sectional study was performed that measured the length of the lower limbs via a scanometry of patients with PF. Other risk factors such as body mass index (BMI), foot posture, and the presence of a plantar heel spur on foot X-ray were also evaluated. Results: Of the 54 participating patients, 44.4% were male with a mean age of 50.38 (23-73 years), 81.5% had pain in one foot, and 53.7% had plantigrade feet. We observed LLD in 88.9% of the sample, with a mean discrepancy of 0.749 cm (SD +/-0.63); 46.3% of the painful feet presented with spurs on X-ray. Conclusions: Approximately 90% of the patients presented with LLD, and the shorter limb was the affected side in most cases. Level of Evidence II; Prognostic Studies. 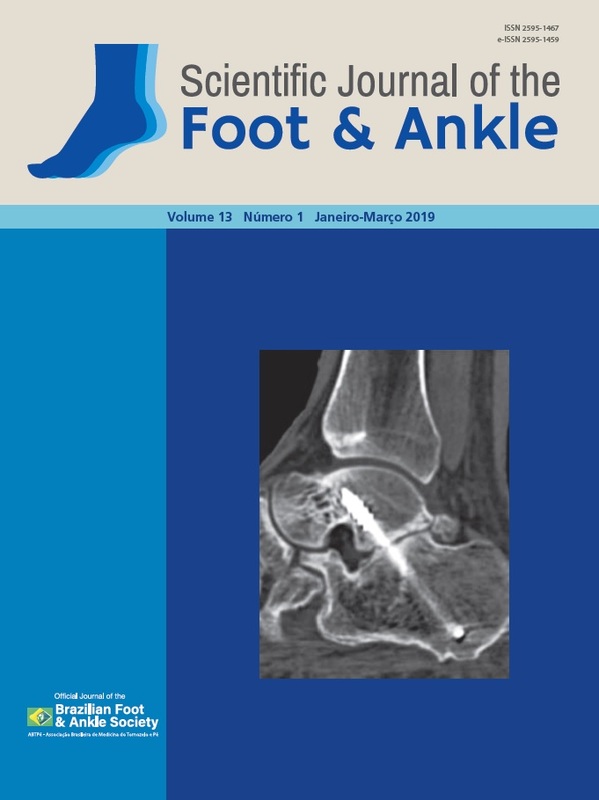 The Scientific Journal of the Foot & Ankle is the official body of scientific publishing of the Brazilian Foot and Ankle Society.